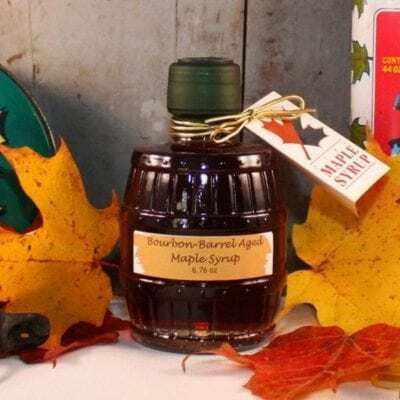 A new twist on maple syrup, we pour our hot Grade A maple syrup into a bourbon whiskey barrel and let it sit for 6 long months to soak up the rich flavors of smokey wood and earthy vanilla present in the barrel after it has been utilized at the whiskey distillery. 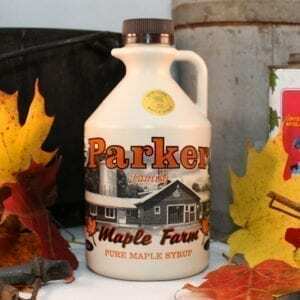 The resulting syrup is infused with these complex flavors, which make it wonderful as a topping on ice cream, used in sauces or to sweeten cocktails. However, we remove any remaining alcohol during the heating and bottling process, leaving less than 2% alcohol content in the finished product.